I have a need to print out some documents programmatically using .Net and C#. 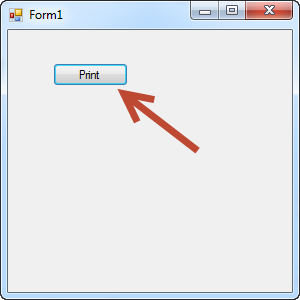 Here are my notes on how to get basic printing working in C#. 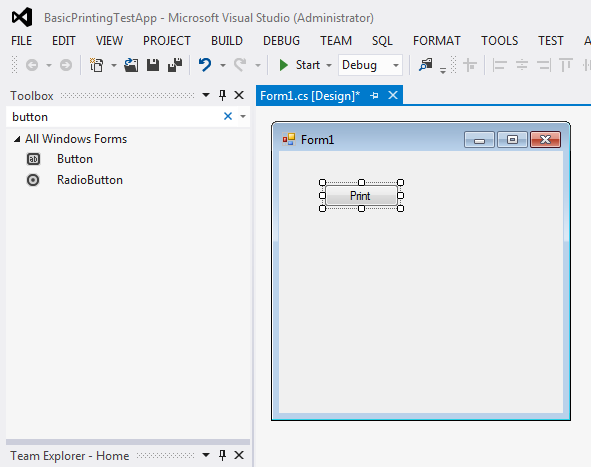 Before I go into my instructions there is a good YouTube video that goes over how to do basic printing in visual studio, using Visual basic. 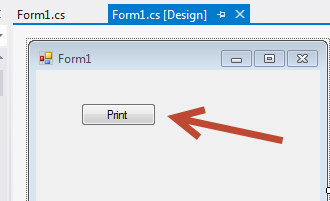 Add a button to the program, I updated the button's text to "Print"
From the ToolBox search for print. 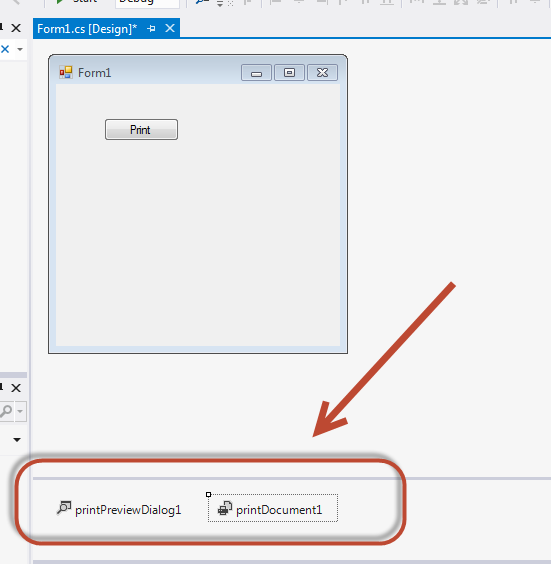 The two print tools that will be used for this simple tutorial are PrintDocument and PrintPreviewDialog. 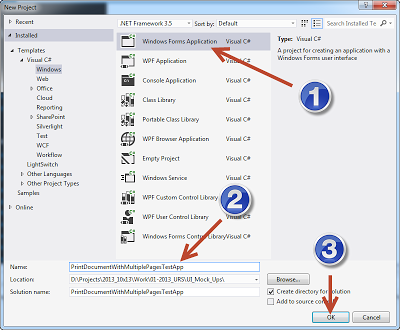 Drag and drop one PrintPrevieDialog and One PrintDocument tool to the Form. They will show up on the bottom of the design window. This will open the code were you can define how the document will be printed. 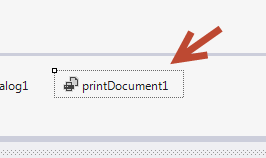 This will Document will draw the string "First Page" on the first page then call the print page event again and print the second page with "Second Page" on it. Now this document is ready to print but it needs to actually be printed. 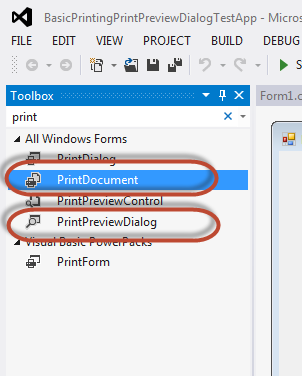 This code will assign the printDocument1 to the printPreviewDialog1 and open it in a dialog. 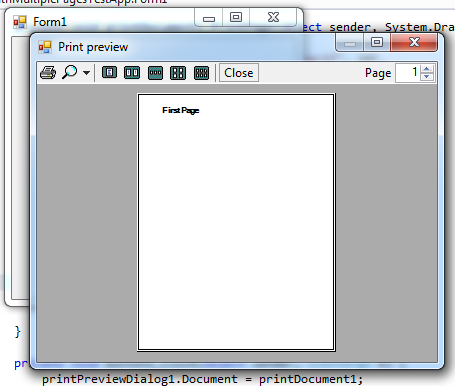 This is the PrintPreviewDialog. 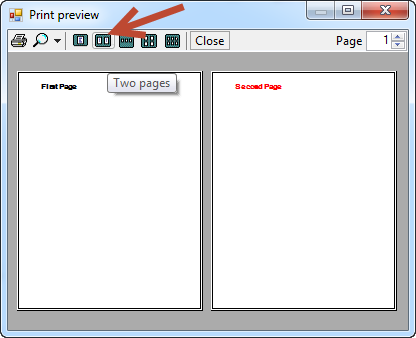 It’s a basic print preview tool. 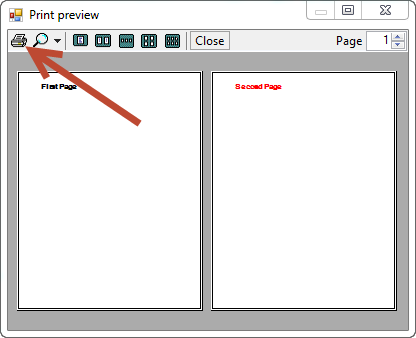 You can feed it a PrintDocument and it will display it and give you some basic tools to zoom, go through pages, and print it. Click on the "Two Pages" button and you can see both pages side by side. 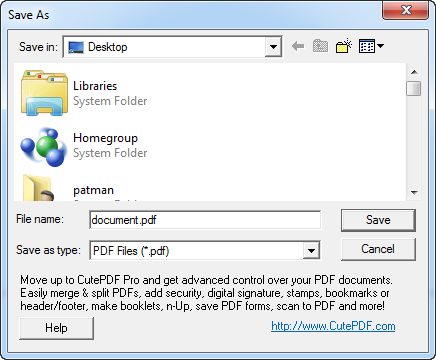 This is the CutePDF dialog. 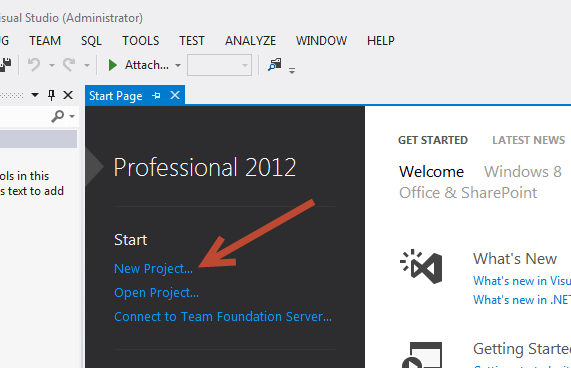 Give the document a name and location and click Save. Here is a screen capture of the PDF created when I printed to the CutePDF. As another test I actually printed it out and I obtained the same results on a piece of paper.